Ultimate Image Window Tint uses Hanita Tek, Sun Gard and Sun Tek window films, as well as Solyx decorative window films which are fully backed by the finest warranties in the industry. UV rays account for 40% of damage, 25% is caused from heat, 25% is caused by visible light, with 10% caused by miscellaneous environmental factors. So while minimizing the UV rays that enter into your space is a big part of controlling the sun’s damaging effects; reducing heat and light is also an important consideration. When window film is installed on a window, a percentage of solar energy is blocked. Solar energy (sunlight) is comprised of visible light (what we see), infrared (what we feel as heat) and invisible ultraviolet rays. As the sun hits the glass, the window film blocks the harmful UV and controls the levels of heat and light passing through the glass. Some solar energy will be reflected, some will be absorbed and some will pass through. 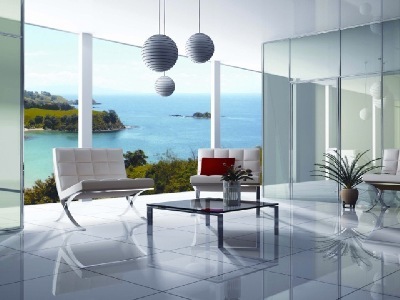 The amount of heat and light rejected will depend on the type of window film chosen. WHAT TYPE OF WINDOW FILMS ARE THERE? There are 3 main types of window film. Reflective or metalized films reflect and absorb solar energy. These films are excellent at controlling heat, light and UV, and will be your "best bang for the buck". They can also provide daytime privacy. Non-reflective (or tinted) films absorb solar energy with a low reflectivity. Spectrally selective films are made with high tech materials that offer advanced solar performance by absorbing and reflecting heat, infrared and UV while being barely visible both inside and out. WILL HAVING WINDOW FILM ELIMINATE FADING? Window film will go a long way in reducing the amount of fading caused by sunlight, but it won't completely eliminate 100% of the damaging effects of the sun. However, it is an effective solution to reducing fading in comparison to untreated glass. CAN I GET PRIVACY AND STILL SEE OUT WITH WINDOW FILM? You will get daytime privacy and still maintain your view to the outside. If day and night privacy are important to you, there are other options like frosted or decorative films that allow light in but block the view.